I am excited to announce that I recently signed an agreement to represent the Country Club at Woodmore, a private country club outside of Washington, D.C. The Country Club at Woodmore features an 18-hole golf course designed by Arnold Palmer in 1981. Rated as one of the top 10 clubs in Maryland by Golf Digest, the championship course has an outstanding practice area and served as the site of the Melwood Prince George’s County Open on the Nationwide Tour from 2007 to 2009. A classic design, the course features rolling fairways and challenging greens and is beautifully conditioned by Golf Course Superintendent Brandon Collins, GCSAA. The Head Golf Professional is Mark Russo, a PGA member who is an outstanding player and teacher in the Middle Atlantic region. One of my mentors and sponsors, Charlie Heller is a member at the Country Club of Woodmore. Along with President Joe Donato and General Manager Jimm Moody, CCM, CPC, Charlie worked with me to develop a relationship where I assist the marketing and sales of the Club’s membership programs in exchange for the opportunity to practice on the course and other benefits. I sincerely appreciate the support offered by the Board of Directors, members, and staff at the Country Club at Woodmore. 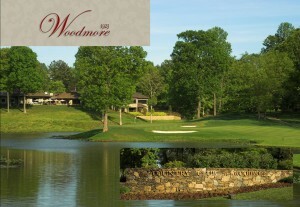 In the coming months, I will share more information about the Country Club at Woodmore. In the meantime, if you live in the area and are interested in considering membership, please feel free to view the prospective member slideshow and contact me to schedule a complimentary preview round.